NRC has been active in Somalia since 2004 with four area offices in Kismayu, Mogadishu, Garowe and Hargeisa, providing protection and humanitarian assistance to refugees, internally displaced persons and returnees in Somaliland, Puntland and South Central regions. NRC offers a comprehensive response for returnees and IDPs of high need, addressing their food security, livelihood, shelter, education, ICLA, and water, hygiene and sanitation needs and also responding to emergencies through NRC’s five core competences; Shelter, Education, Food Security and Livelihoods, WASH and Information, Counselling and Legal Assistance (ICLA). NRC’s Horn of Africa operation comprises of large-scale multi-country humanitarian and early recovery interventions spread across seven countries (Kenya, Somalia, Ethiopia, Djibouti, Yemen, Eritrea, South Sudan, Uganda and Tanzania). NRC’s overall strategy in the region is to enhance protection and promote the rights of displaced people in humanitarian need by improving living conditions and seeking durable solutions. The regional office is based in Nairobi and works with country programmes to ensure standardisation of programmatic and operational approaches, promote multi country programming and ensuring quality and coordination. The purpose of the Project Manager – Livelihood and Food Security position is to oversee the implementation of the Food Security programs in Somaliland area programme, manage and build capacity of the project implementation teams to ensure activities are carried out on time and according to the budget; contribute inputs for concept papers, proposals for new projects / activities, and donor reports in coordination with the Area manager and Livelihood and Food Security specialist and represent NRC in all program matters within the Area and in coordination fora relevant to the Area program. All this is to be carried out in close collaboration with the Area Manager, Grants team and country level technical specialists/advisers. Qualified female candidates are particularly encouraged to apply. Assess needs, develop emergency response plans with the Livelihoods and Food Security Specialist and implement response plans for the area. 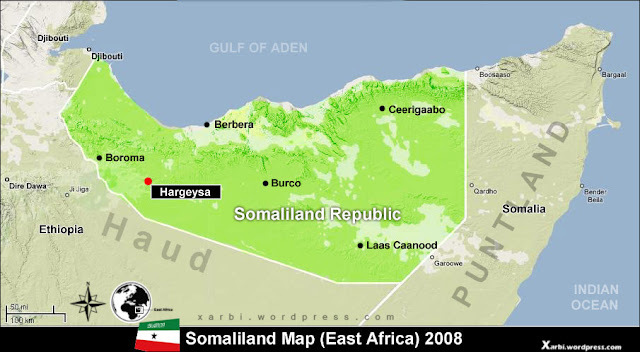 Oversee timely, efficient and quality implementation of Food Security projects and activities in Somaliland by ensuring that all document guiding implementation such as budgets, DIPs, cash forecasts are developed and/ or periodically updated and used correctly. Ensure that technical standards and quality of implemented Livelihoods and food Security (Including Resilience) activities are in line with the area strategy, and that they meet the requirements of beneficiaries and authorities. In consultation with the Livelihood and Food Security Technical Specialist, Lead the process of proposal development for all projects in the Area program, ensuring quality writing, budgeting and incorporation of technical advice from the Livelihood and Food Security Specialists. Promote wherever possible an integrated approach for assessments and program design. Ensure that LFS projects target beneficiaries most in need of protection, and explore and assess new and better ways to assist. Ensure that planned assessments are carried out as per the implementation plans. Ensure timely Submission of quality narratives, monthly, quarterly and annual project reports to the Livelihood and Food Security Specialist. Together with M&E, ensure that the required monitoring and evaluation activities including baseline, end line, Post Distribution Monitoring, annual surveys are scheduled and implemented in a timely manner, and that clear analysis is done, documented and followed up on. Coordinate and share information regularly with the BRCiS Consortium Management Unit, Country level resilience focal point and other Consortium structures as applicable. Provide agronomical/ Natural Resource Management technical backstopping and follow ups to all resilience and food security and livelihood activities in the project area. Ensure that staff capacities are developed and constantly improved to meet the challenges of their job. Cooperating with the NRC Shelter, ICLA and WASH Project teams and the Project Coordinators of other organizations in order to guarantee an integrated implementation of the RESTORE and other resilience projects. Participate in internal and inter-agency working group and other coordination meetings in Somalia and in Nairobi as required. Develop and maintain a network of contacts amongst the other agencies operating in the Area. Salary/Benefits: According to NRC's general directions.